They are here. And almost gone. 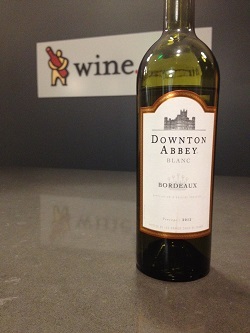 I speak of the Downton Abbey wines, a white and a red from Bordeaux of which even Carson would approve. We tasted these wines yesterday and were quite impressed. Though some wines that latch on to a celebrity name or brand are not stellar quality, others look for good wine at the right price to associate with a well-respected image. For Downton Abbey, the situation is the latter. The Downton Abbey Blanc hails from the Entre-Deux-Mers area of Bordeaux, a region that excels in white wine production from the Sauvignon Blanc and Semillon grapes. It shows bright citrus and stone fruits on the nose and the palate is ripe apple – we may even call it fruity – with vibrant acidity and a soft texture. Nice balance and a wine I think would be ideal for a seafood dish or even a pasta with a rich sauce. If you like California Sauvignon Blanc, you’ll enjoy this wine. As for the Claret, it’s a blend of Merlot, Cabernet Sauvignon and Malbec and definitely calls out for some protein. It is balanced overall with dark berries and black currant, touch of spice, touch of floral notes and great acidity and good structure. But I do highly recommend with food! So stock up to sip on these two wines for the January premiere! We’ve heard fans will need a strong drink! When it comes to wine, gimmicks abound. Funny labels and tag lines can help sell a wine, but sometimes what’s inside doesn’t deliver. But sometimes it does. 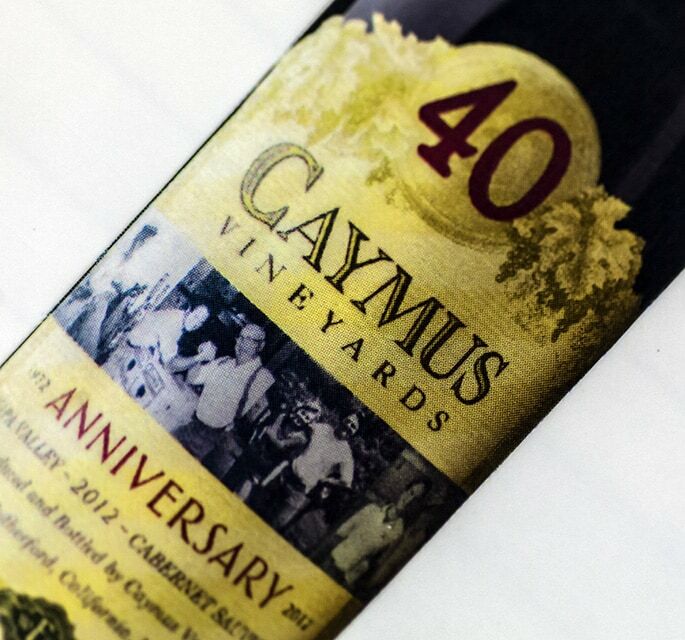 Wines that Rock represents that time when a great theme delivers both cleverness AND good wine. 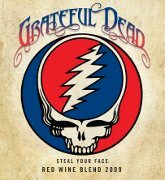 Described as “great tasting wines inspired by music,” Wines that Rock takes inspiration from legendary artists like Pink Floyd, Rolling Stones and Grateful Dead. It’s a great concept, and only more so since what’s in the bottle lives up to the name and labels. What does Wines that Rock say? Options include labels from Pink Floyd, The Police, Woodstock, Rolling Stones and the newest label, the Grateful Dead. Some labels showcase the artist, while others call out a specific song by a band. Either way, these are great wines for classic Rock N’ Roll lovers. I recently returned from a glorious week in Bordeaux, touring the different appellations and tasting through the 2010s of each district’s wines. Some of these tastings were held privately at the Chateau, where only the wines from their specific property were tasted. Some were organized communal tastings at a Chateau, where several dozen producers from specific appellations, i.e. the Medoc (St. Estephe, Pauillac, Margaux, St Julien), were pouring their wines with throngs of people tasting and spitting in a choreographed dance together. This week long event, which is billed as En Primeur, is attended by the wine trade and press from around the world. I didn’t run into Robert Parker…but did see both Jancis Robinson and Steven Spurrier (Decanter) on my last days private tasting at Lafite Rothschild, where we tasted the 2010 Lafite Rothschild, 2010 Duhart Milon, and the 2010 Carruades de Lafite. The main purpose of the event is to get a general sense of what the vintage has to offer, and to drum up enthusiasm in anticipation of the 2010 Futures Offerings. The overall mood for the vintage is very high. Initial scores seem to mirror the optimism. The wines from the 2010 vintage that I tasted were fantastic and I’m excited to have the opportunity to offer them to you in the very near future. Until then, Wine.com has three very special older vintage wines from Bordeaux (2 Right Bank & 1 Left Bank). Both Chateau Branon and Chateau Valandraud are considered to be “garagistes”… innovative winemakers in the Bordeaux region producing “Vins de garage” or “Garage wine.” Few exemplify the garagiste idiom more than Jean-Luc Thunevin and wife Murielle Andraud of St-Emilion’s Chateau Valandraud. Elevated to cult status thanks to a string of high ratings from influential American critic Robert Parker, Valandraud – literally operating out of a garage – had in guts what Medoc powerhouses had in budget. Founded in 1989 on a 1 hectare plot in Saint-Emilion, with limited funds for equipment, much work was done primitively by hands and feet in their garage, with high detail labor resulting in low output yields defining the methods of the model. Helene Garcin, owner of Chateau Branon, is also the owner of the third wine in this offer, 2001 Clos L’Eglise Pomerol. We spent an afternoon at another of her wineries (life is rough! ), Barde-Haut in St. Emilion, tasting vintages 2008, 2009, 2010 of her properties’ wines (Chateau Branon, Haut-Bergey, Clos L’Elise, Barde-Haut). What a treat!!! All three of these wines are perfectly aged to drink now! My buying team secured excellent pricing on each of these wines, which allows me to offer them out at the lowest published price in the nation. The only way to order these wines is by clicking onto the wine names below. You’ll be directed to the shopping cart. From there, enter the number of bottles you wish to secure (repeat to add additional bottles), proceed to checkout, enter your account details, and you’re off to the races. I have just spent three amazing days in Bordeaux tasting over 300 wines from the 2009 vintage. Mike and Rich joined up with Patrick Baugier and myself to see for ourselves what this much heralded vintage is all about. In a word it is AWESOME. Patrick is a Bordelais with an enormous spread of contacts throughout the region. He drove us around and made sure we didn’t miss a thing. This explains why we managed to taste close on 400 wines. We tasted through all qualities – from Petits Chateaux of the Cotes de Bourg to Ch Lafite and Ch Margaux. We also tasted some quite magnificent Sauternes and Barsac. One thing that stood out was how immediately accessible these wines are. We were spitting throughout but it was often very difficult to do so, and nearly impossible with the sweet wines! We started off on Monday, where we tasted a selection of over 50 Petits Chateaux from earlier vintages for possible addition into the Club Claret range. We have found ten or so which you will be hearing about later in the year. From then on, we drove up and down the Medoc, calling in on the numerous tastings of the local commune wines, the Cru Bourgeois and finally the Cru Classé. Many of these tastings were in the Chateaux themselves where the hospitality of our hosts was exceptional. The consensus of opinion about this vintage is that we are looking at wines that compare to 2000 and 2005, perhaps a shade better than the former and tussling for pole position with the latter. What was also fascinating to witness was the powerful presence of merchants and traders from China, Japan, Korea, Taiwan and even India. This is a vintage that will sell out en primeur very quickly – be warned. The daily visit to six or so tastings culminated in some very happy evening dinners, be they in Bordeaux restaurants, private homes or Chateau environments. Here we were able not only to talk wine but finally swallow a few glasses and remind ourselves, as if we needed reminding, how delicious mature Bordeaux wines are. I had to return to England today, to collect my car, only to drive back to France tomorrow for a few days skiing with my grandchildren in the Haut Savoie. I am not complaining, except seeing Mike, Rich and Patrick heading off in the car to Ch d’Yquem, and then on to St Emilion and Pomerol, with Ch Petrus on the menu, left me with a frog in my throat! Over the next few days, I will be more specific about the wines we tasted. In fact we will be putting together a shopping-list of the best of the bunch for you to think about. Till then, salut!